Russia's largest truck producer KamAZ is actively looking for opportunities to enter the Chinese market, company representatives told the Russian media. "KamAZ is always interested in opportunities in the Chinese market, where it is difficult to be successful without a local partner,” deputy director of KamAZ sales and service Sergey Afanasiev told Interfax. “We look forward to finding the key to this giant and very interesting market soon." According to Vedomosti, the company has not reached any export deals with China over the last six years. 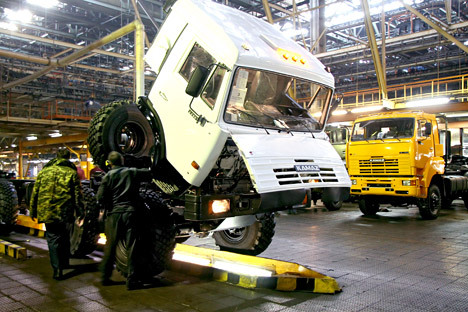 KamAZ has assembly plants in Kazakhstan, Vietnam, India, Colombia and Lithuania, and is exploring the possibility of producing in Indonesia and Argentina. In 2015, the company has an export target of 7,000 vehicles, an increase of 17 percent from last year, according to Interfax.